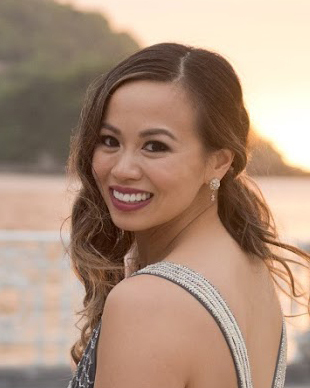 Award season for foodies is here! I couldn't care less about which movies win an Oscar, but am all ears when the Michelin Guide releases their list for the year. Even if I don't agree with the ratings all the time (umm, just how did Pok Pok NY get a Michelin star? ), their stars are definitely one of the most recognized. It's provides great enjoyment to me to see who gains and loses a star. One of the most surprising news to me for the 2015 ratings is for Sushi Nakazawa to not get any stars, but for Ichimura to make the jump to two Michelin stars! To put things in perspective, there are now 58 one Michelin star restaurants in NYC, but only 9 two Michelin star rated ones. That extra star is a HUGE deal. So let's talk about Ichimura. The first time I realized that I absolutely needed to eat here was when I saw this picture of a triple stack of otoro. I mean... just look at it! 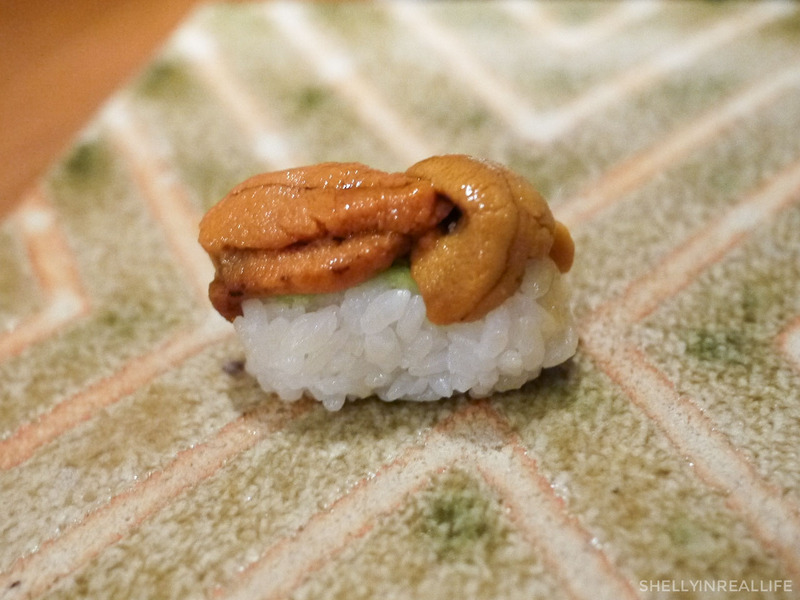 I mentioned earlier last November when I wrote about my first ever omakase at Sushi Nakazawa, that I'm a sushi noob. While I can distinguish really fresh sushi from the average sushi joint, I'm still working on that sushi tasting palette. I mean, like, really really getting into it. Figuring out what temperature I prefer my rice to be. Just how vinegary should the rice be. 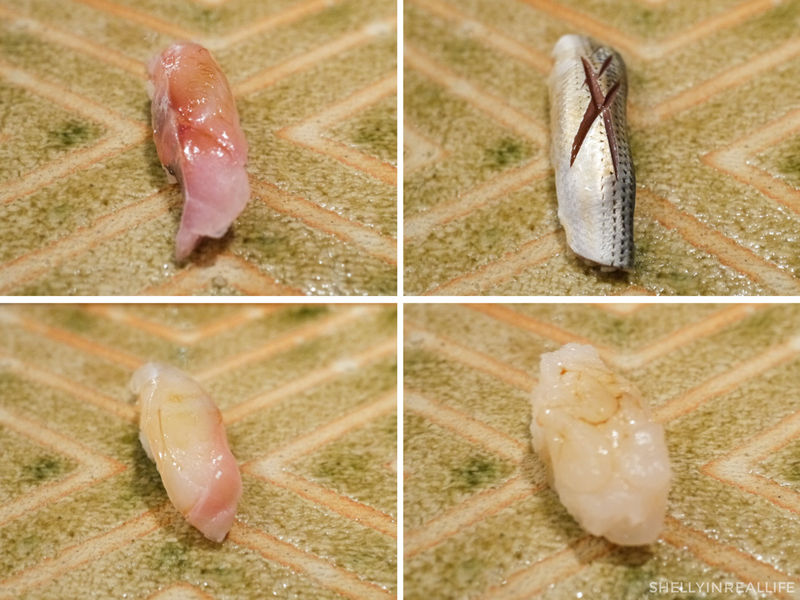 What makes that perfect cut on a fish want to eat. You know, the nit-picking stuff. 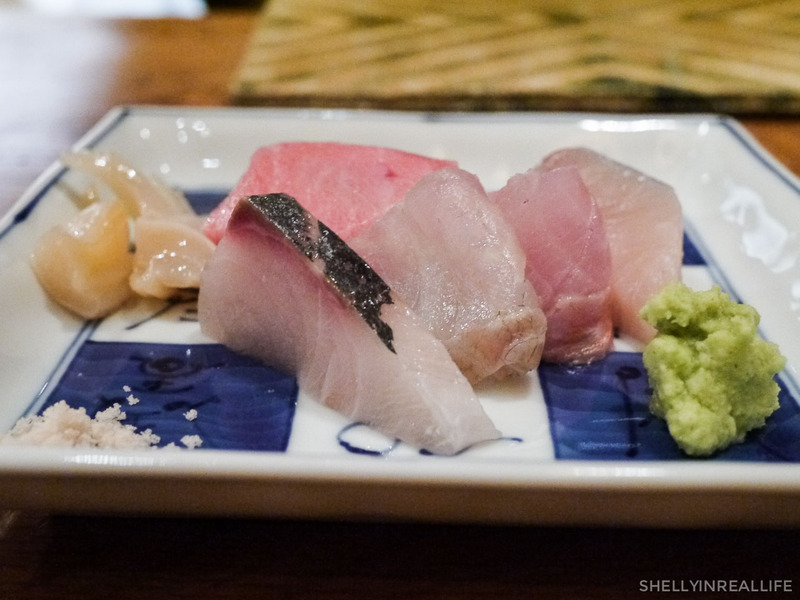 Ichimura at Brushstroke was my second "fancy" omakase. I've had numerous foodie friends who tell me that this is on the top of their list, and one even claims that Nakazawa is nothing compared to Ichimura. Strong words, but I wanted to see for myself. J and I decided to come for his birthday in June 2014. As it turns out, just a week before we made the ressie, they raised the price of their omakase, from $160 to now $180. (Update 2015: The price has now been increased to $195 in 2015...Yikes!) Painful, but worth it. 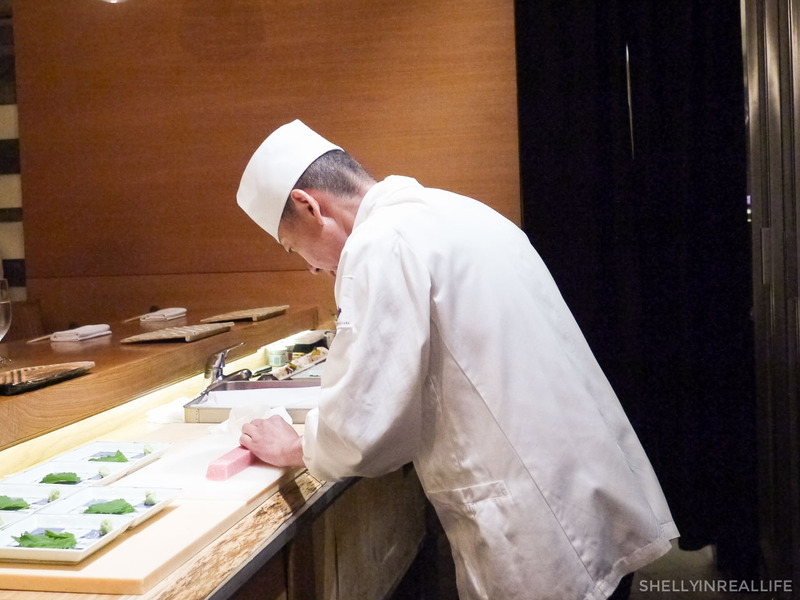 Right off the bat, you'll notice that chef Eiji Ichimura is the only person behind the sushi counter serving 8 eager guests. J and I came here a few minutes late, so everyone was already eating their appetizers. Don't be foolish, come on time!! Enjoyed our 4 appetizer bites, among them were monkfish liver, octopus, uni and some crab on a chip. 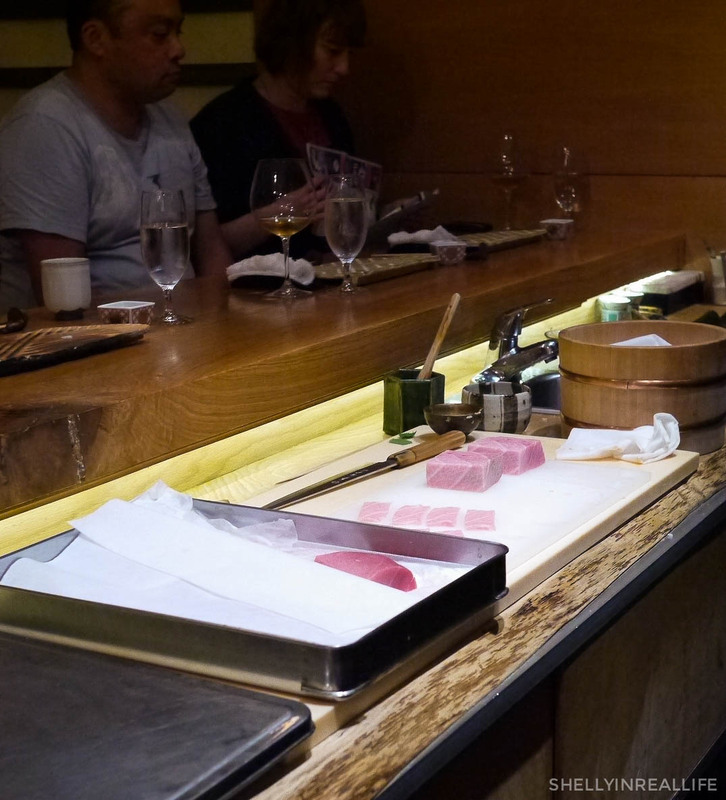 As we were eating the pre-prepared bites, Ichimura-san was preparing for our sashimi course. Really enjoyed the toro, giant clam and always can appreciate freshly grated sushi. 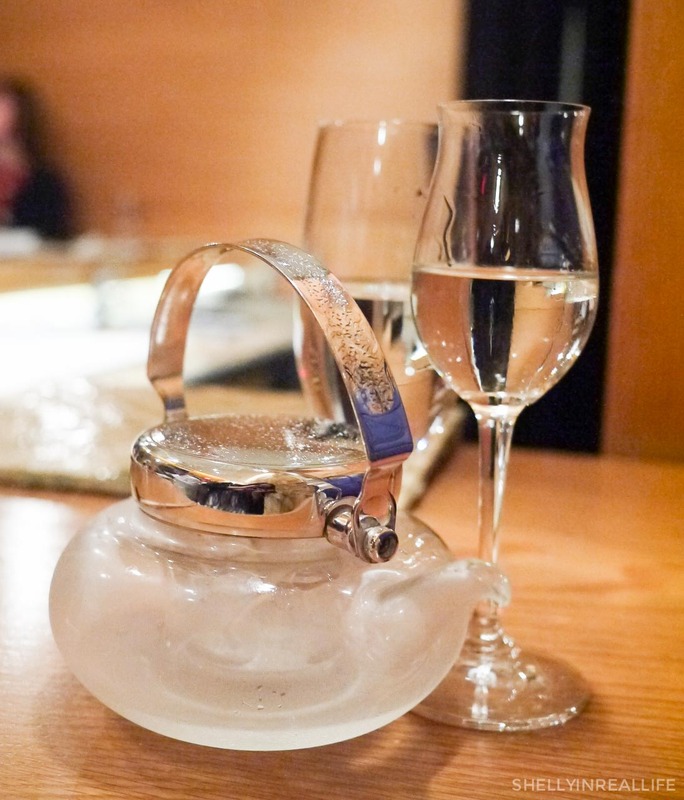 We also ordered some sake which came in the cutest kettle with an ice holder in the middle of it to keep it cold. 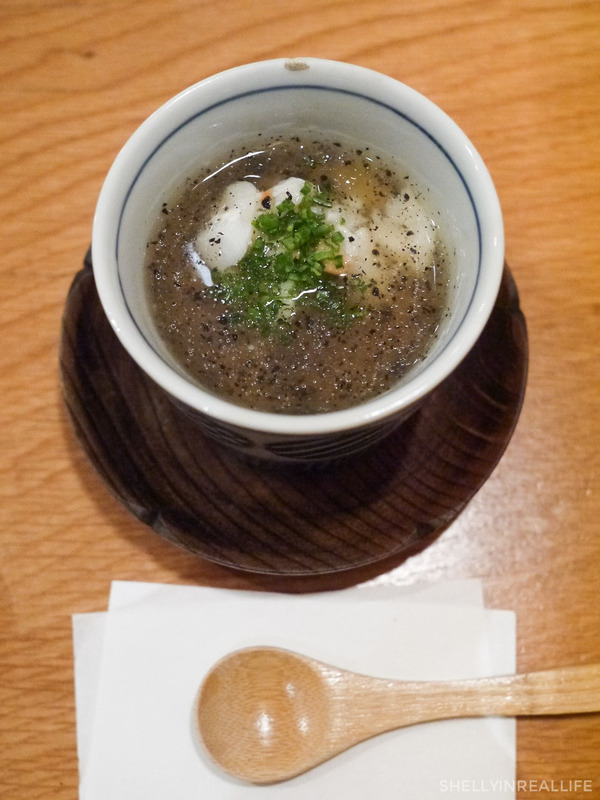 The one thing that I was looking forward to the most was this Truffled Chawanmushi with Crab Meat. I've always loved the chinese version of steamed eggs over rice, and chawanmushi is just that. Soft and delicately steamed eggs, topped with an aromatic truffled broth. Just a hint of umami with the crab. Yum-o! Up until this point, J and I were thoroughly enjoying every single bite. You'll find Ichimura-san very soft-spoken, almost sometimes like he's whispering. Almost like you're going to your friend's nice Japanese grandpa's place. Be polite! 14 pieces of sushi later, I saw Chef take out a large box he kept in the refrigerated cabinet behind him. Out comes his box of perfectly prepared chutoro and otoro. The color on them is perfection, very on trend with a beautiful ombre gradients of pink. 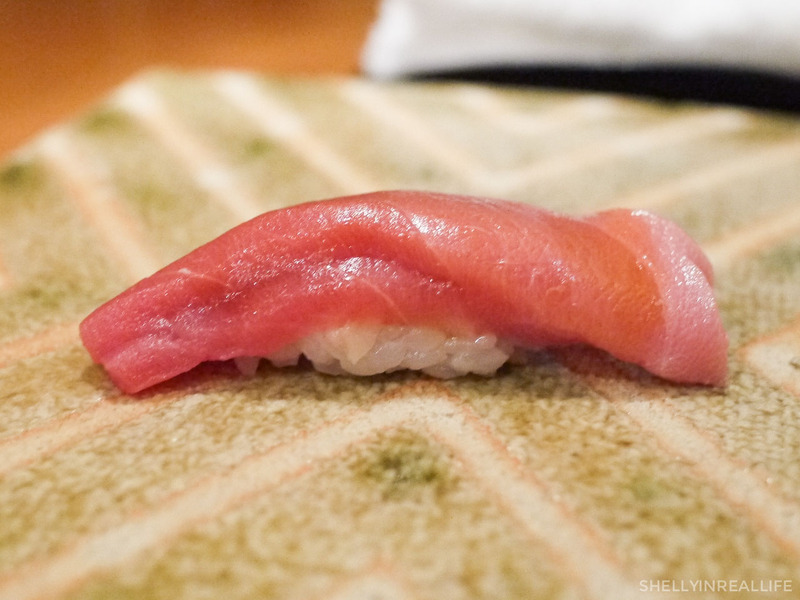 The first piece was a stack of chutoro, medium fatty tuna. 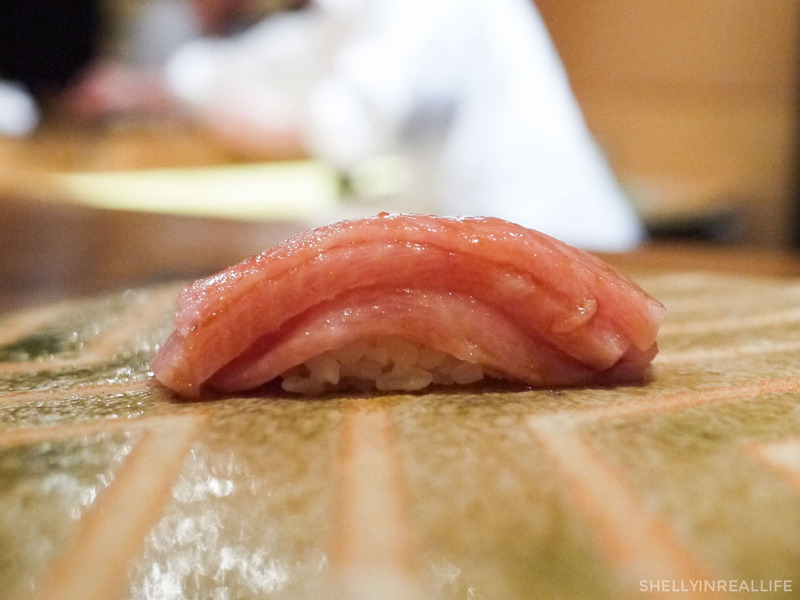 But I had my eye on this triple stack of otoro the whole time. 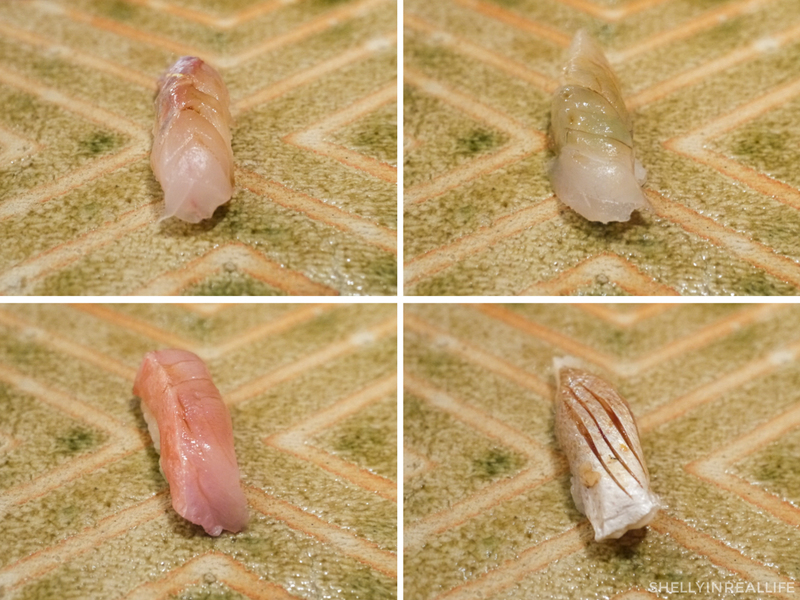 3 beautiful thin slices of fatty tuna stacked on top of each other. So drool worthy, melt in your mouth goodness. Tasted like butter of the sea. At this point, I have to point out that a girl who was sitting next to us was visually full and she was almost about to give this piece to her date. It's been a lot of food, but I have a good appetite so I definitely ate it with the quickness. 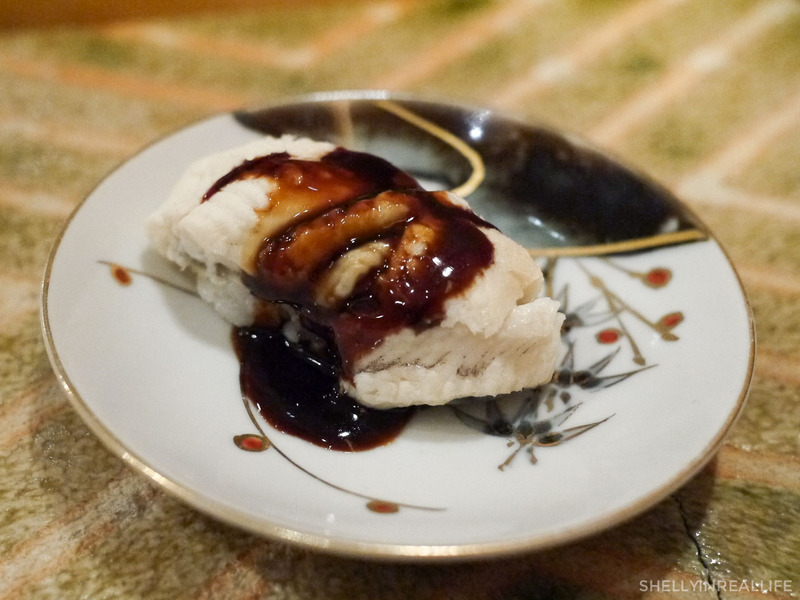 The final dish to end the night was the only cooked fish of the night, this freshwater eel with a thick unagi sauce that was sweet enough to make this a savory yet sweet dessert. 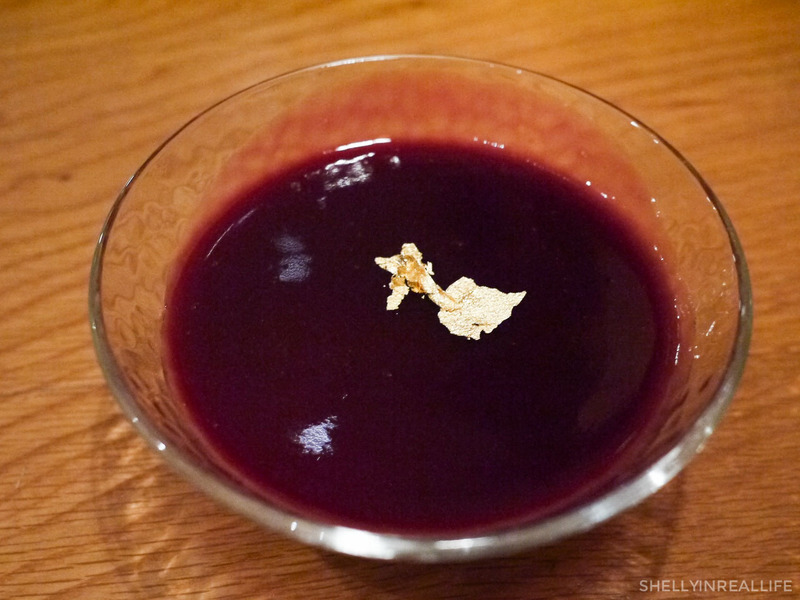 Since it was J's birthday, we ordered a small dessert to celebrate, a panna cotta topped with a gold flake. All in all, I found the meal extremely delightful and would recommend it to anyone who's looking for a wonderful sushi omakase. The atmosphere here was a lot more relaxed and quite since there were only about 10 people in the hidden dining room at a time, 8 guests eating, Ichimura-san behind the counter, and the waiter who does all the front of the house stuff. The walls were also super cool, if you look closely, you'll see that it's made of piles an piles of books stacked in different ways to make a wall. 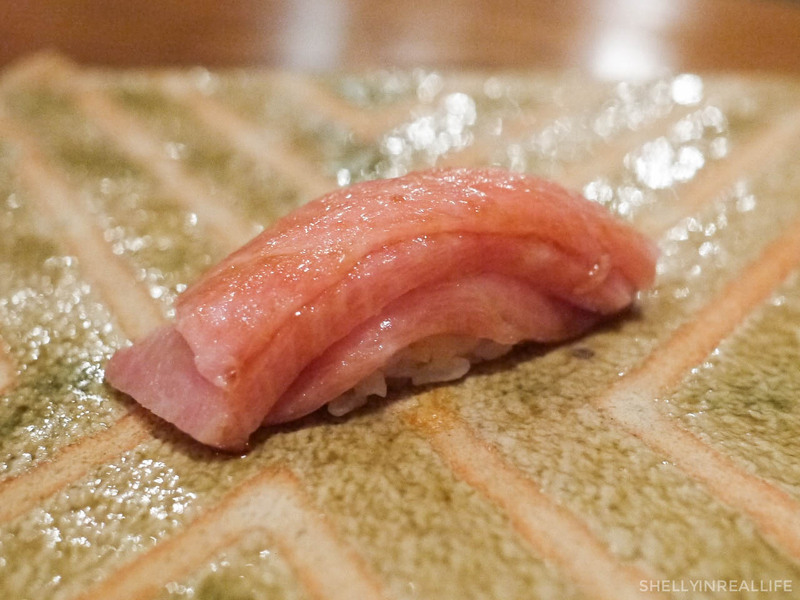 The main notable differences to me between Sushi Nakazawa and Ichimura at Brushstroke is that you will get more of a variety of food at Ichimura. 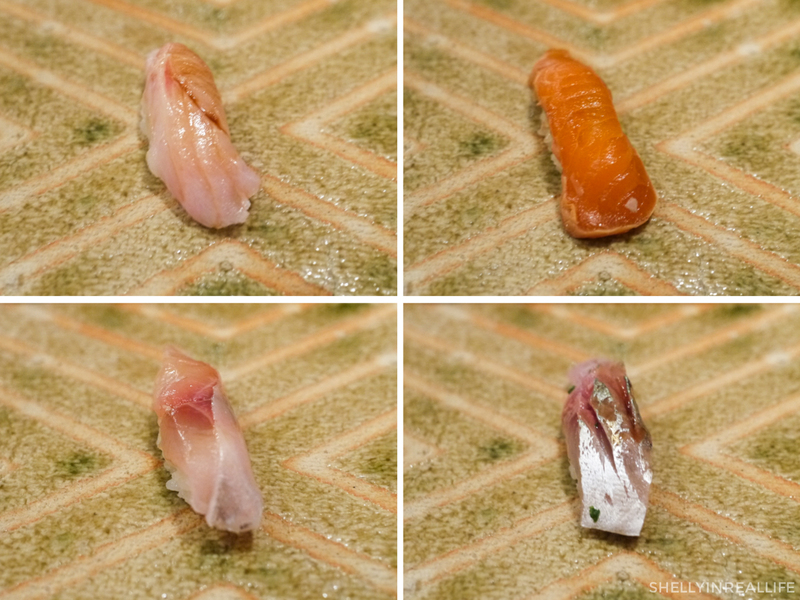 You start off with 4 bites, then 5-6 pieces of sashimi and a lovely chawanmushi before you start your 17 piece nigiri course. You also get the full undivided attention of Ichimura-san who is the only person preparing your food. 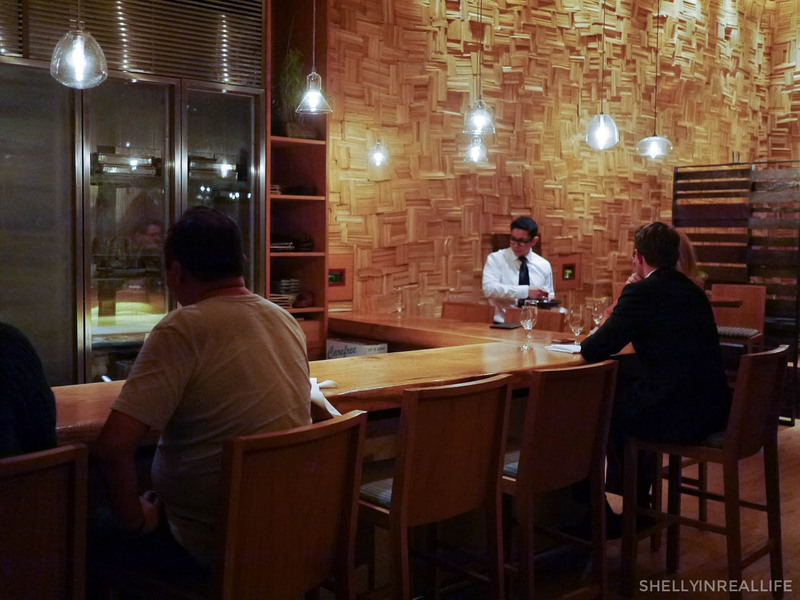 At Nakazawa, there were often sous-chefs who helped him with the preparation. In terms of actual fish quality, rice temperature and flavoring, I'm afraid I'm too much of a sushi-noob to make a full on distinction. I enjoyed both! 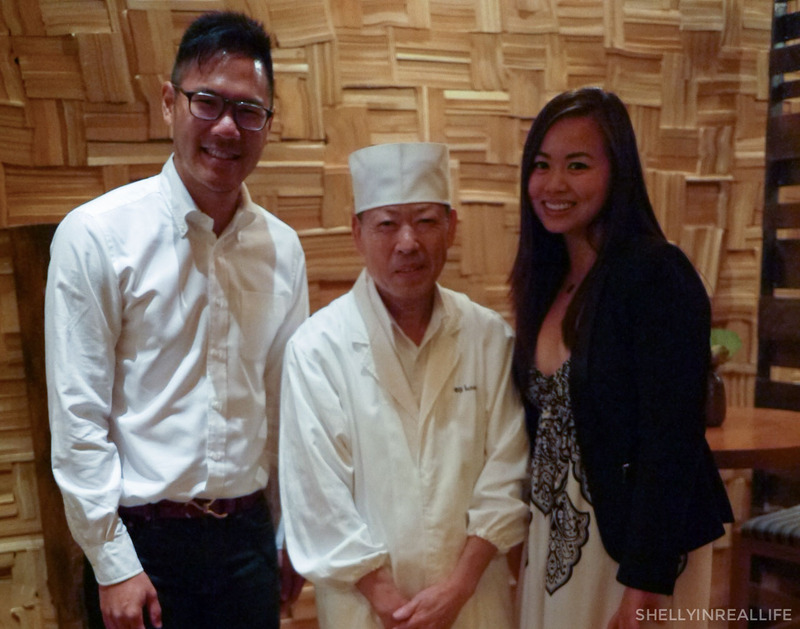 From this dining experience, I wasn't too surprised that Ichimura gained that extra star. It definitely belongs in the ranks of one of the best meals I've ever had. 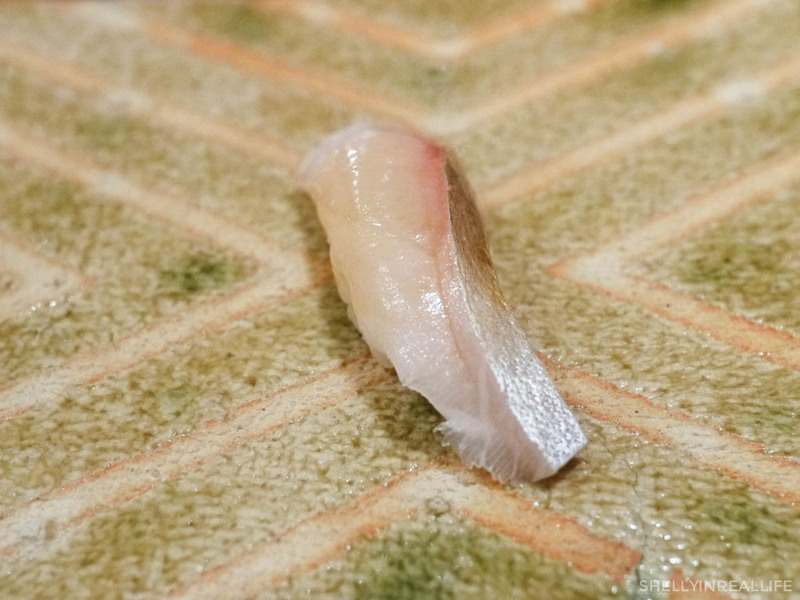 I also loved the story of how Chef Eiji Ichimura got started as a dish-washer at a Japanese restaurant, learning how to make sushi by only watching chefs and practicing himself at night. From dish-washer to two Michelin Stars, a big congratulations to Ichimura-san and his team for this amazing accomplishment! It is well deserved.